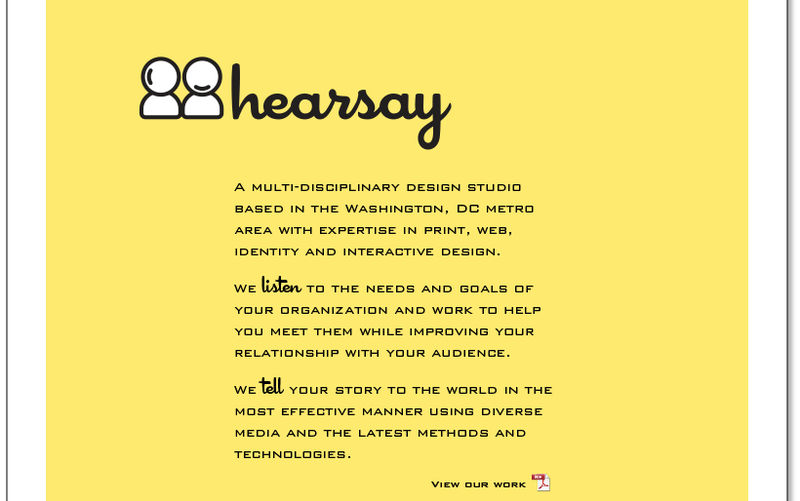 A multi-disciplinary design studio based in the Washington, DC Metro area with expertise in print, web, identity and interactive design. We listen to the needs and goals of your organization and work to help you meet them while improving your relationship with your audience. We tell your story to the world in the most effective manner using diverse media and the latest methods and technologies. New site coming March 2010! Need help with a project? Fill out our Project Request Form. Can’t wait to see our work? Follow us on Twitter. View our company profile on LinkedIn.